Our reputation as one of the best emergency care hospitals in Kochi is based on the services of our Accident & Emergency (A&E) department, one of the oldest units in the hospital. 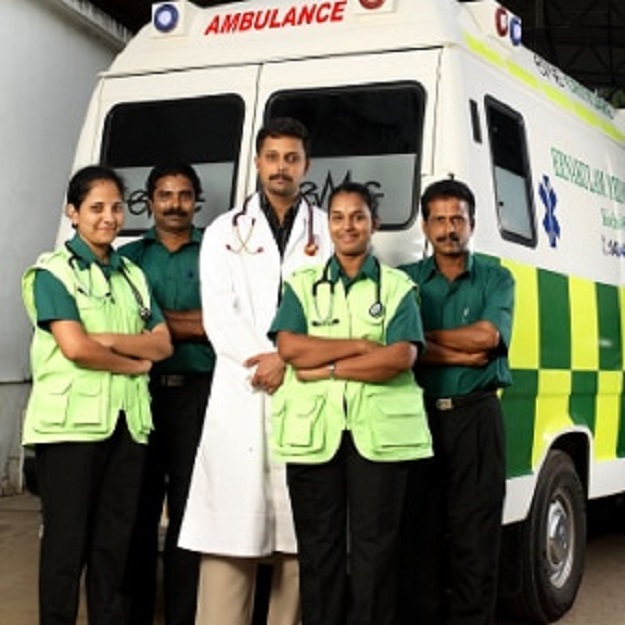 With over three decades of proven track record in the field of accident & trauma care, the unit continues to be the first choice for patients with all types of medical and surgical emergencies including paediatric, obstetric and gynaecological cases. Our state-of-the-art Burns ICU is a referral centre for the treatment of burn injuries and attracts patients from all over Kerala. • Resuscitative measures, rapid sequence intubation and fluid replacement using pressure pumps. • Management of blood loss and shock. • Neurosurgical emergencies involving airway management, convulsions and spinal injuries. • Open and closed chest & abdominal trauma, intercostal chest tube drainage and special resuscitative measures in cases of internal or external bleeding. • Orthopaedic trauma including wound debridement, POP application, placement of limb traction, closed reduction of dislocations etc. • Oral & maxillofacial trauma that involves airway management and reduction of TMJ dislocations. • Top class burns management for industrial or domestic fire accidents including fluid replacement and burn dressings. • All types of paediatric emergencies. • Medical emergencies including cerebrovascular accidents (CVA) , acute coronary syndrome, poisoning, envenomations (anthropod bites) , acute dyspnoeic states like severe asthma. • Surgical emergencies such as abdominal or gastrointestinal bleeding. • Psychiatric emergencies like manic states. • ENT & Ophthalmologic emergencies, epistaxis, foreign body removal etc. • Gynaecologic emergencies and resuscitative measures in case of internal bleeding.